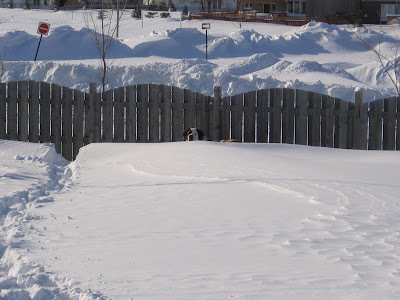 Now I'm not saying we haven't had a lot of snow lately but I'm starting to lose sight of the dog in the backyard. The 140lb dog in the backyard. Posted by PB at 10:23 p.m.